(Macao, Dec. 16, 2018) – Sands China Ltd. participated in the 2018 Macao China International Human Capital Forum Tuesday and Wednesday at Sands® Cotai Central, sending two of its top executives to represent the company. Dr. Wilfred Wong, president of Sands China, and Wen Hongyan, the company’s senior vice president of human resources, delivered keynote addresses at the forum, where they shared their unique insights about human resource management with business executives from Fortune 500 companies, the Top 500 Enterprises of China and local companies in Macao. They also shared Sands China’s vision of nurturing talent for the tourism industry, for Macao, and for the Greater Bay Area. 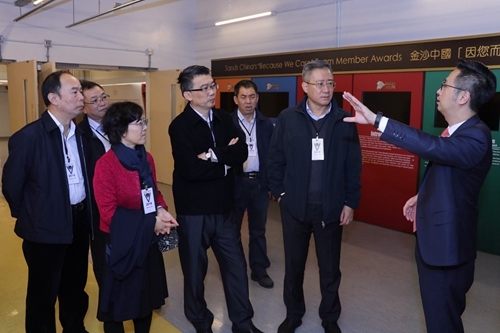 The forum’s agenda also included a site visit and symposium with Sands China human resources executives to discuss the establishment and dissemination of the employer brand in the hotel industry. Sands China is the Premium Sponsor of the 2018 Macao China International Human Capital Forum, which is focused on exploring the industrial advantages of the Guangdong-Hong Kong-Macao Greater Bay Area in the areas of human resource management and talent development. Event supervisors for the 2018 Macao China International Human Capital Forum were the Liaison Office of the Central People’s Government in the Macao S.A.R. and the State-owned Assets Supervision and Administration Commission of the State Council (SASAC). China International Intellectech Corporation (CIIC), Macao Chinese Enterprises Association and Nam Kwong (Group) Company were the forum’s hosts. HRoot, the leading human resource media company in China, and the Macao Convention & Exhibition Association (MCEA) served as co-organisers. Dr. Wong delivered his keynote address Tuesday on the topic of “Macao, the International Talent Incubator for the Greater Bay.” He pointed out that with the rapid growth of large-scale, high-end integrated resorts in recent years, Macao has established a diversified team, and has developed a unique business model and a leading reception capacity in the Guangdong-Hong Kong-Macao Greater Bay Area. 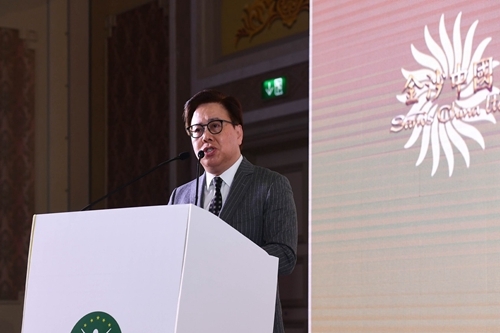 He expressed his hope that Macao can leverage the advantages of its tourism industry to strengthen the quality and development of its human resources. He hopes combining that with the city’s forward-looking international vision of managing talent can elevate customer service to the next level and contribute to Macao’s development as an international talent cultivation base in the Greater Bay Area. 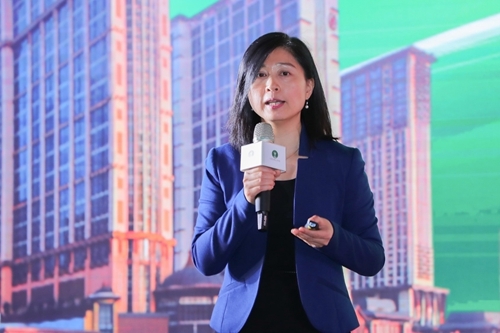 Wen’s keynote address, also on Tuesday, was entitled “How Mega Integrated Resorts Are Using Talent Diversity as the Driving Force for Future Growth.” She used Sands China as an example and shared the success of the company’s large-scale integrated resort business model. She explained how the diversified model and the company’s human resource strategies adapt to trends in human resource development. This allows talent to take advantage of both the speed and breadth of Sands China’s talent development programmes – introduced to tie in with the government’s mid- and long-term initiatives to cultivate talent with diverse skills. One example is the Integrated Resort Business Analyst Development Programme, which launched earlier this year. The programme allows team members to complete an 18-month intensive training course as business analysts, gaining experience while working in departments like finance, IT, and market research and insights. Paired with various professional qualifications, this programme can help develop a team of experienced analysts for large-scale integrated resorts, while offering a unique experience for young people who are seeking to develop quickly. Wen also spoke about the importance of talent diversity at the MICE Talents Development Forum Wednesday at the Macau Tower Convention and Entertainment Centre. She suggested that the MICE industry should take centre stage, and said she hopes her experience can contribute to the development of Macao's overall human resources capacity. The 2018 Macao China International Human Capital Forum included a roundtable panel discussion, where Paulo Cheong, vice president of human resources for Venetian Macau Limited, shared his insights on human resources issues such as strategies on motivating younger employees. He offered Sands China’s My Way programme as an example. The large-scale, non-traditional horizontal career development initiative equips team members with a diverse integrated resort skill set. It gives them an abundance of opportunities to try new fields and positions for a set period of time to find the ones most suitable for paving their career paths. This, in turn, helps meet the future challenges of China's hotel and tourism industry. The event drew around 600 participants in total. That included guests from the Macao Trade and Investment Promotion Bureau (IPIM), the Chinese-funded (Macao) Employment Agency Association, the Macao International Talent Exchange Association, local business schools, well-known human resource service organisations from the region and abroad, Fortune 500 companies, the Top 500 Enterprises of China and local Macao enterprises. Sands China values the development of a well-trained workforce, not only for growing its business regionally and internationally, but also as a way of supporting Macao’s development into a world centre of tourism and leisure and contributing to non-gaming diversification in Macao. To that end, the company has delivered more than 6.5 million paid training hours since 2004. Photo caption: Dr. Wilfred Wong (left), president of Sands China Ltd., and Wen Hongyan (right), the company’s senior vice president of human resources, deliver keynote addresses Tuesday at the 2018 Macao China International Human Capital Forum at Sands Cotai Central. 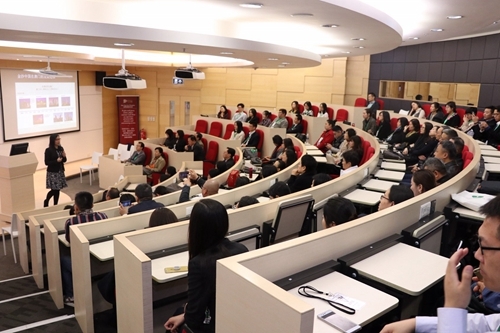 They shared their unique insights about human resource management with business executives from Fortune 500 companies, the Top 500 Enterprises of China and local companies in Macao. Photo caption: The 2018 Macao China International Human Capital Forum at Sands Cotai Central included a site visit and symposium with Sands China human resources executives to discuss the establishment and dissemination of the employer brand in the hotel industry.